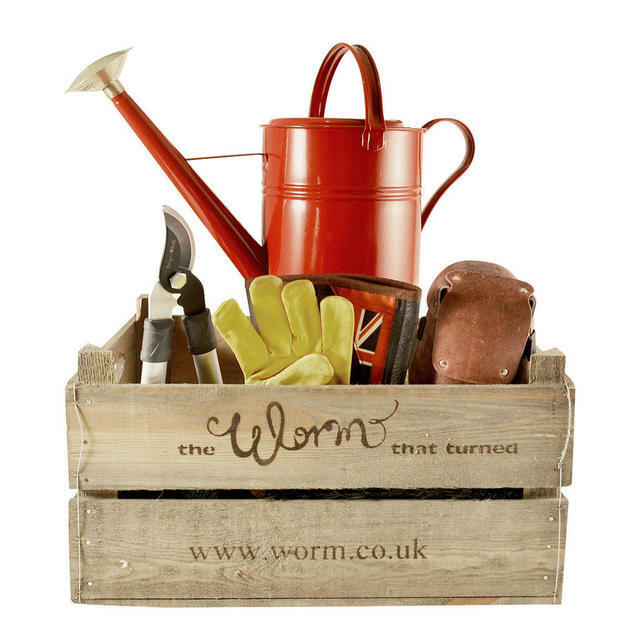 Spoil your gentlemen gardener absolutely rotten with this luxury hamper full of very special garden gifts. 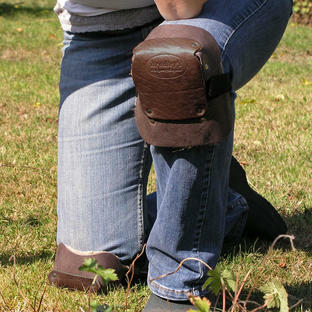 Each hamper contains a pair of leather anti-bramble gauntlets, a pair of the comfiest leather knee pads, a galvanised watering can, and a compact mini bypass lopper by Burgon & Ball. All this is beautifully packed in a sturdy wooden fruit crate that any gardener will adore. Choose a free gift card at the checkout to personalise the gift with a special message. We can also make up a gardeners crate with any items of your choosing. 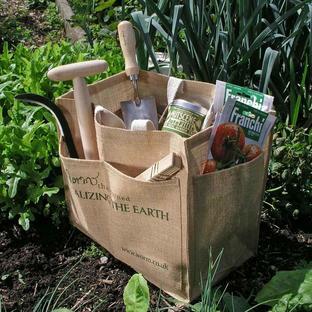 Please call us on 0345 6052505 for more information and pricing. 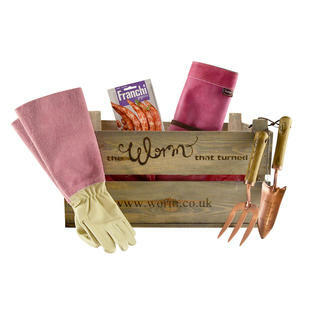 Also see our luxury ladies crate for gorgeous gardening gifts carefully selected just for her.